After many months of retirement planning, finally filing your retirement application is a major milestone. But your retirement process isn’t finished yet – you still need to choose your NYSLRS retirement option. When choosing your retirement option, it’s important to think about what your needs will be in retirement so you can pick how you’d like your monthly pension benefit paid to you. The Preparing for Retirement 7-part video series discusses the main aspects of retirement planning to help NYSLRS members nearing retirement make good, informed decisions for the future. In Part Seven – Choosing Your Retirement Option, you’ll go over what an option election is and how you can learn more about them before making your decision. Life Changes: How Do I Prepare to Retire? Our website has many resources to help you prepare for retirement, but don’t forget to check back with us after you retire. Our Retiree home page can keep you informed about pension payments, tax information and other relevant retiree news. Make sure to check it out. Content last revised October 17, 2016. This entry was posted in General News, Members, Videos and tagged benefits, ERS, Information is the Key, know your benefits, New York State & Local Retirement System, NYSLRS, pension payment option, PFRS, Preparing to Retire, retirement, retirement plan, retirement planning on October 24, 2014 by NYSLRS. Although there are few things certain in life, it’s good to know your New York State & Local Retirement System (NYSLRS) pension is one of them. But your pension is only one part of a good financial plan. That’s why we advocate a well-rounded approach to saving for retirement by considering Social Security and personal savings as well. Unfortunately, according to a recent Employee Benefit Research Institute survey, most Americans have very little savings set aside for retirement, and many don’t know how much they’ll need later in life. In fact, about 36 percent of workers have less than $1,000 in savings and investments that could be used for retirement. The survey also revealed that only 44 percent say they or their spouses have tried to calculate how much money they’ll need in order to live comfortably during retirement. 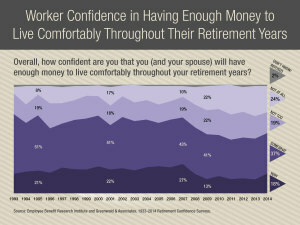 The findings underscore the fact that Americans need to start saving to avoid further retirement insecurity. This year’s National Save For Retirement Week is from October 19 – 25. It provides an opportunity for people to review their own personal financial situation and determine if they are on track to reach their retirement goals. National Save For Retirement Week has been held annually since 2006, when the United States Congress adopted a resolution specifically designed to elevate public knowledge about retirement savings. Groups such as the International City Management Association (ICMA) offer educational retirement resources, including more participatory activities like today’s National Pack-a-Sack Lunch Day. According to the ICMA, you could save thousands of dollars over seven years just by bringing your own lunch to work. Check out ICMA’s Big Savings Calculator to see how you can take steps to save money for retirement just by making fewer everyday purchases. There are several ways to save for retirement. One savings plan to consider is a deferred compensation plan. A deferred compensation plan can be another source of retirement income to consider when saving for retirement. Deferred compensation is a type of plan where part of your earned income is paid back to you at a later date. The money you set aside is tax-deferred, which means you do not pay federal or State tax on it until you begin to collect it.The New York State Deferred Compensation Plan (NYSDCP) is a voluntary retirement savings plan created for New York State employees, and employees of participating employers. Participants in the NYSDCP have their contributions deducted automatically from each paycheck to their deferred compensation account. They can also choose from different investment options within the plan for their account. If you work for a local government employer, please check with your human resources officer or benefit administrator to learn about deferred compensation plans. The sooner you start saving, the more time your money has to grow. Check out our Weekly Investment Plan to see how making a weekly investment can grow by age 65. With just a little planning and added effort on your part, you’ll have added security for your retirement years. Content last revised October 22, 2014. This entry was posted in General News, Members and tagged benefits, defined benefit plan, ERS, New York State & Local Retirement System, NYSLRS, PFRS, retirement plan, retirement planning on October 22, 2014 by NYSLRS. According to the findings of a new American Association for Retired Persons (AARP) report, 27 percent of individuals who are 50 years-of-age or older and currently working in New York State are not confident they will ever be able to retire. More than half of those surveyed say their retirement will be delayed for financial reasons, and 26 percent said they do not have any access to a retirement savings plan through their employer. 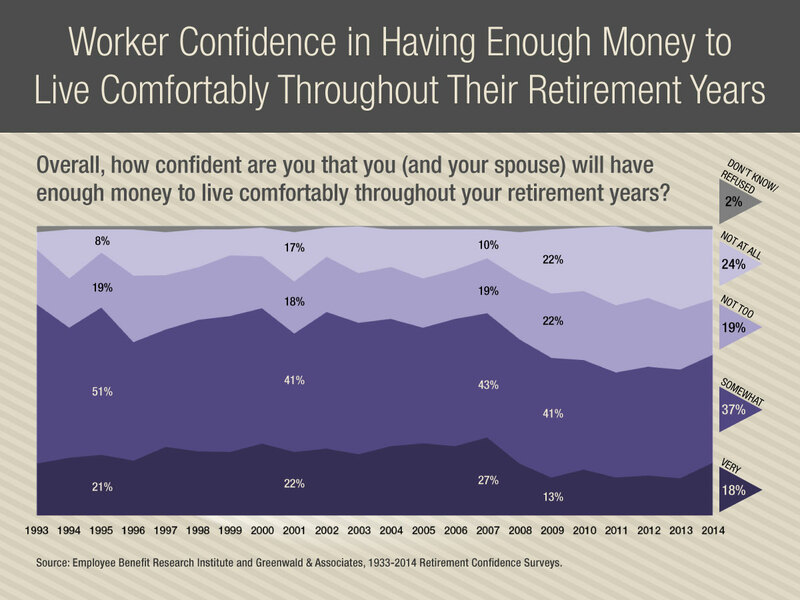 What’s most alarming is that out of those confident they will retire, 60 percent said they’d be likely to leave New York after retiring. Watch more of the Comptroller’s remarks from the Boomer Flight Conference. AARP reported that baby boomers retired from New York’s workforce would deliver $179 billion a year to the state’s economy. According to research done by AARP and Oxford Economics, the total economic impact of New York’s 50 and older is nearly $600 billion, supporting 53 percent of the state’s jobs and 44 percent of the state taxes. But AARP also revealed that if 60% of working boomers headed out of state, they would carry with them over $105 billion annually. Content last revised October 15, 2014. This entry was posted in General News, Members, Pension System, Videos and tagged Comptroller Thomas P. DiNapoli, defined benefit plan, ERS, NYSLRS, NYSLRS Retirees, PFRS, Preparing to Retire, Retirees Contribute, retirement planning, retirement savings shortfall, retirement security on October 15, 2014 by NYSLRS. After many months of retirement planning, it’s time to fill out your NYSLRS retirement application. Applying for retirement is easy, especially if you’ve done your research and taken the proper steps to prepare for your retirement in advance. The Preparing for Retirement 7-part video series discusses the main aspects of retirement planning to help NYSLRS members nearing retirement make good, informed decisions for the future. In Part Six – Filing Your NYSLRS Retirement Application – you’ll learn about the important parts of the form, and how to file your NYSLRS retirement application with the Office of the State Comptroller. The last video will take you through choosing the option of how your pension benefit will be paid to you. Content last revised August 31, 2016. This entry was posted in General News, Members, Videos and tagged beneficiary, benefits, ERS, Information is the Key, know your benefits, New York State & Local Retirement System, PFRS, Preparing to Retire, retirement on October 1, 2014 by NYSLRS.